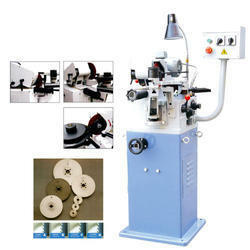 We are offering Saw Sharpening Machine to our clients. We are counted amidst the celebrated suppliers of Saw Blade Sharpening Machine and known for offering the best deals. J D Engineering Works, the leading manufacturer of Saw Sharpening Machine for home business entrepreneurs. 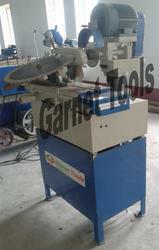 Sardar Engineering is offering Saw Sharpening Machine. We are offering HSS Saw Blade Sharpening Machine to our clients. Saw Sharpening Machine is used to sharpen saws, carbide tipped blades, chisels and various other cutting tools. This machine is heavy duty made using accurate and high quality guideways with a vareity of acceesories can be fitted to make use of the machine in the best possible manner. Machine can be customised on customer requriement and change in applications. With rich industry experience and knowledge, we are offering a qualitative range of Electric Circular Saw Blade Sharpening Machine.Plus tax and Transportation extra. We are a trusted enterprise in this domain engrossed in offering Saw Sharpening Machine. We are identified as one of the leading names in the market engaged in providing a wide range of Circular Saw Sharpening Machine to our valued clients. Saw Sharpening Machine 200mm To 600mm With Electrical.